Rebellious Unicorns Production Company Inc. Rebellious Unicorns approached me with the task of developing a logo and creative approach to producing posters for a monthly LGBT2Q+ and ally encouraged party. After a bit of research and experimentation a design concept was created. 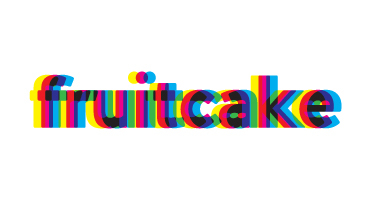 Because the logo was created for a dance party it needed to be colourful and portray movement. 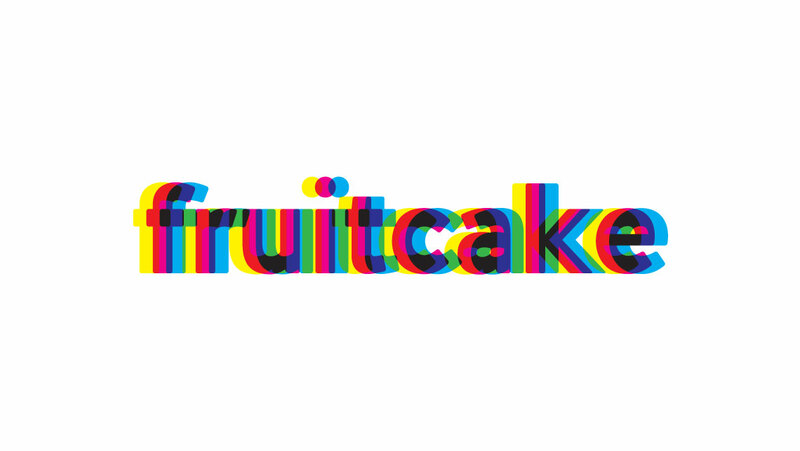 This was achieved by overlaying layers of coloured type (spelling fruitcake) slightly off-register from eachother. The resulting colours from the overlays are very similar to the colours of the rainbow flag. The concept & art was inspired by the Swiss Style graphic design movement to try and convey information in the most clean, readable and objective way. Sans-serif fonts were set flush left, ragged right and in an asymmetrical fashion. High-contrast photography was also used instead of illustrations or drawings. 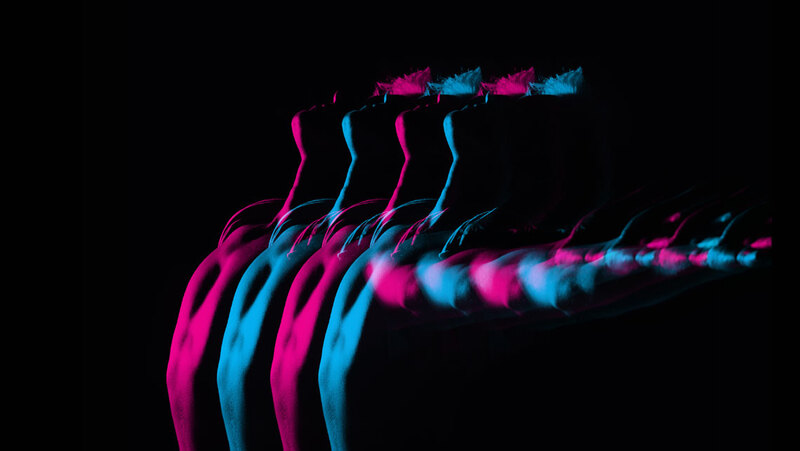 The photos were overlapped to create movement and add interest. All photos were taken by Evan Eisenstadt featuring models from Shine Models, Kelowna. 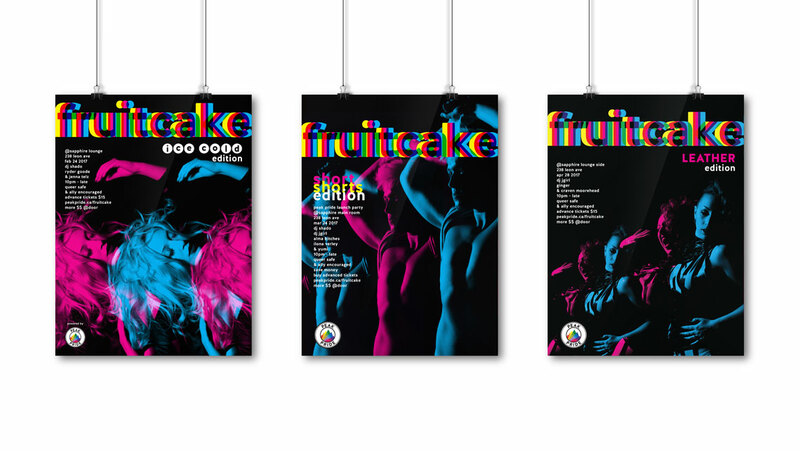 The result of this project was both a logo and poster series that embodies the inclusive spirit of an LGBT2Q+ event as well as the energy of a late night party.